Clear Bra Paint Protection Film Vinyl Sheet Bumper Headlight Hood - 12" x 72"
Auto Ventshade Headlight Covers part number 37576 are full coverage head lamp covers for your vehicle. Smoke tinted, blackout, light covers are designed for off-road use only. The full cover acrylic light covers help protect your expensive headlights from damage during off-road, shows, or racing events. The custom aerodynamic design provides a perfect fit for a truly custom look. AVS stands behind their head light covers with a limited lifetime manufacturer's warranty. Part Number: GTS GT0182S. GT Styling (GTS) Acrylic Headlight Covers - Smoke. 2004-2012 GMC Canyon (All). 2004-2012 Chevrolet Colorado Truck (All). The headlight covers snap over the factory light housings. LED Headlight. Car Led Headlight Kits. Motorcycle Led Headlight. 4x6 headlight. 7x6 headlight. JK headlight. Hot Sale LED Lights! led headlight bulb car 1. Model: Canyon Colorado. We are here to help correct any problems there may be with your order. These parts are designed for USA production models and may not cross over for worldwide applications. Other Part Number: OEM: 20825942 - OEM: 20825943. PartsLink #: GM1038175. CHEVROLET COLORADO 2015-2017. Fits the Following Vehicles. Latest COB chip light source,3 luminous faces (270/360 degree) no blind zone. Plug Type: 9005,High Beam,H11 Low Beam. (4pcs/2 set) 9005 H11 LED Headlight Conversion Kit. 2pcs 9005 2pcs H11 LED headlight bulbs. Compatible With: 9005 (HB3) & H11 (H9/H8). Other Available Bulb Size: 9005(9140,9145,HB3，H10),9006(9012,HB4),9007(HB5,High&Low Beam),H11(H8，H9),H4(9003，HB2，H4-3，High&Low Beam)，H13(9008,High&Low Beam),9004(HB1,High&Low Beam),H1，H7,880(881,H27),H16（5202，Fog Lights）. Model:9005 HB3 9006 (HB4). 2x 9005 2x 9006 High Power LED Headlights Bulbs. Beam Type:High/Low beam. Headlight Bulb. 9005 error free,high/low beam. Beam Angle:360°. 6000K Cool White Light. Application :LED Headlights Headlamp Lamp Bulbs High Low Beam. Plug Type:H11(H8/H9). Headlight Bulb. 2pcs H11 LED headlight bulbs. IP68 rated water and dust seal,360 degree beam angle. Led Light Bar. Color Temperature: Pure White 6000K-6500K. We are professional LED Light Bar / Headlights manufacturer. Specification: ◇ Plug Type: HB3 9005, High Beam. Now we can move to the actual installation. If you have a single low beam kit, locate your low beam dust cover on the back of your headlight assembly. Plug Type: 9005, 9006. 2x 9005 2x 9006 LED headlight bulbs. Product: New Design X4 Series LED Headlight Bulbs. Headlight Bulb. Beam Type: High beam & Low beam & Fog Lights. Led Light Bar. LED Power: 1750W/Set. Plug Type: H11. 2x H11 LED headlight bulbs. Usage: headlight. 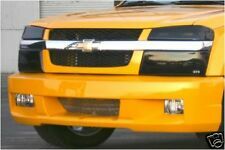 We are professional LED Light Bar / Headlights manufacturer. All product are factory direct sale, best quality at best price. High speed mute fan(12000R/Min),high Air flow for faster cooling rate. 1800W 270000LM 6000K White. Plug Type: H11(H8, H9). Headlight Bulb. Newest X4 Series H11/H8/H9 Super Bright LED Headlight Bulb Conversion Kit. 2x H11 LED headlight bulbs. Product: New Design X4 Series LED Headlight Bulbs. Two (2) 5"x11" sheets for your Chevy bow tie emblem. Color: Black Carbon Fiber. Our vinyl is high quality high performance 5-7 years PVC film. Vinyl is the highest quality available on the market. Reusable Static Cling – Peels off in high speed, car wash and can be easily ripped off by vandal are user’s biggest compliant. Model: 9005 High Bean,9006 Low Beam. 2 x 9005 2x 9006 LED Headlights Bulbs. Application :LED Headlights Headlamp Lamp Bulbs High/Low Beam. We are professional LED Light Bar / Headlights manufacturer. Apply For Car Motor Headlight Taillight Fog Light. 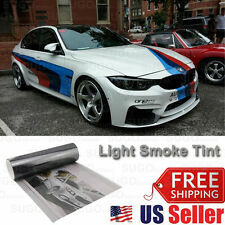 - We have Muti-color 12 Colors Tint Film Vinyl Wrap For Fog Headlight Taillight Light ,including HID White ,Cool White,Warm White, Ultra Blue,Pretty Pink,Pure Red,Vivid Green and Amber Yellow. 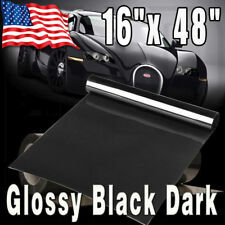 1 roll clear paint protection headlight bumper hood guard. Clear bra color, almost invisible. This item is made with rugged 8mil polyurethane which will give you long-lasting protection and almost invisible. 3000K Gold Yellow 16" x 48" Smoke Tint Film Vinyl Wrap. 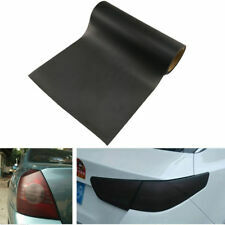 This is the high quality yellow protection vinyl film sheet that you've been waiting for so long in glossy finishing for varieties of places such as headlights, tail lights, fog lights, side marker lights, bumpers, hood or even windshield. Plug Type: 9005 (HB3, H10). Color Temperature: Pure White 6000K. Headlight Bulb. 2x 9005 LED headlight bulbs. Product: New Design X4 Series LED Headlight Bulbs. Beam Type: High beam & Low beam & Fog beam. Plug Type:9005(9145/HB3) H11(H8/H9). Headlight Bulb. 2pcs 9005 LED headlight bulbs. 2pcs H11 LED headlight bulbs. Usage: headlights,fog lights. Led Light Bar. We are professional LED Light Bar / Headlights manufacturer. LED type: CREE CSP LEDs. Compatible With: 9006 / HB4. 2 x 9006 High Power LED Lights Bulbs. Headlight Bulb. Led Light Bar. Number of Bulbs: 2. Low Power Consumption than Halogen bulb, Energy Saving. Be careful to avoid crushing or cutting the bulbs. Plug Type: 9006 (HB4, 9012). Beam Type: High beam & Low beam & Fog beam. 2x 9006 LED headlight bulbs. Headlight Bulb. Newest X4 Series 9006/HB4 Super Bright LED Headlight Bulb Conversion Kit. Product: New Design X4 Series LED Headlight Bulbs. Model: Canyon Colorado. If there are any issues with your order. We are here to help correct any problems there may be with your order. Our parts are designed for USA production models and may not cross fit for worldwide applications. LEXEN 16" x 48". 100% Original LEXEN Smoked Film for Tail lights. Taillights Smoked Film Covers. Highest Quality PVC Smoked Film on the Market! 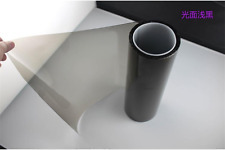 High quality PVC Film. 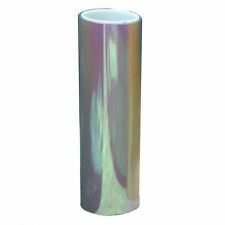 Top quality 5 year high quality tough PVC film will not fade. 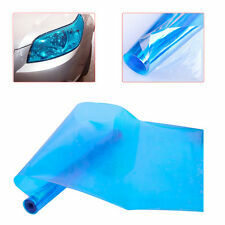 1 PairClear Head light Protector Overlay. Therefore, depending on the Make & Model of the car, the coverage surface of the light will vary depending on the headlight design. Will cover anywhere from 90-100% of the headlight. Model: 9005 High Bean,9006 Low Beam. 2 x 9005 2x 9006 LED Headlights Bulbs. Beam Type: High beam,Low Beam. Application :LED Headlights Headlamp Lamp Bulbs High/Low Beam. Beam Angle:360°. We are professional LED Light Bar / Headlights manufacturer. Plug Type:H11(H8/H9). Headlight Bulb. 2pcs H11 LED headlight bulbs. Led Light Bar. Usage: headlights,fog lights. Light Bar Brightness. We are professional LED Light Bar / Headlights manufacturer. All product are factory direct sale, best quality at best price. Available w/reverse light cutout. 3rd brake light overlay covers red portion only. 04 - 2011 Colorado/Canyon smoked tail light overlays. Set of Left & Right Tail Light and 3rd brake light overlays. 2007-2007 Jeep Wrangler Unlimited Sahara Sport Utility 2-Door. 2007-2011 Jeep Wrangler Unlimited X Sport Utility 4-Door. 2007-2011 Jeep Wrangler X Sport Utility 2-Door. 2007-2015 Jeep Wrangler Rubicon Sport Utility 2-Door. Model: Canyon Colorado Isuzu. If there are any issues with your order. We are here to help correct any problems there may be with your order. Our parts are designed for USA production models and may not cross fit for worldwide applications. Compatible With: 9005 (HB3/9145/H10) & H11 (H9/H8). Other Available Bulb Size: 9005(9140,9145,HB3，H10),9006(9012,HB4),9007(HB5,High&Low Beam),H11(H8，H9),H4(9003，HB2，H4-3，High&Low Beam)，H13(9008,High&Low Beam),9004(HB1,High&Low Beam),H1，H7,880(881,H27),H16（5202，Fog Lights）. 04-12 Colorado / Canyon / I-series smoked Headlight tint covers vinyl overlays Front kit. 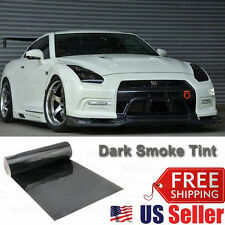 Kit includes 6 pieces of precut vinyl tinting overlay for Headlight tint kit. Why our Vinyl tint outperforms other options. PartsLink #: GM1039175. Fits 2015 2016 2017 Chevrolet Colorado Passenger Side Front Bumper Insert Unit. CHEVROLET COLORADO 2015-2017. Fits the Following Vehicles. Part Number: GTS GT4251. GT Styling (GTS) Acrylic Taillight Covers - Smoke. Sold as a set (1-left and 1-right taillight blackout). 2004-2012 GMC Canyon (All). 2004-2012 Chevrolet Colorado Truck (All). Plug Style: 9005, High Beam. 9005 error free,high/low beam. Application: Headlight Bulbs High Beam,fog lights. Beam angle: 360 degree@high beam. 2pcs 9005 LED Headlight Bulbs. LED Type: Imported CSP LEDs. Fully removable – The headlight tint is generally fully removable. Simply apply heat to the tint (not too much) which will help soften the adhesive (glue residue), then simply pick at the corner, lift and pull away from the light. 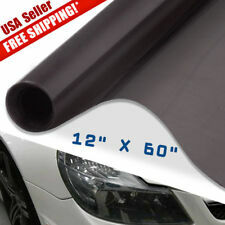 Dark Black 12" x 60" Light Black Smoke Tint Film Vinyl Wrap. 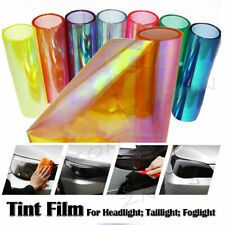 This is the high quality yellow protection vinyl film sheet that you've been waiting for so long in glossy finishing for varieties of places such as headlights, tail lights, fog lights, side marker lights, bumpers, hood or even windshield. Vinyl Film is a simple single-ply DIY trim-to-fit sheet of film. 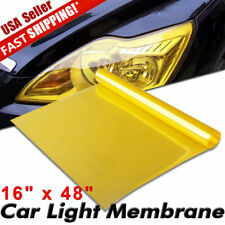 Protect your headlights, tail lights, fog lights, side marker lights! Glossy Protection Tint Vinyl Film -Gloss Red. Gloss Red (Size Listed in Title).